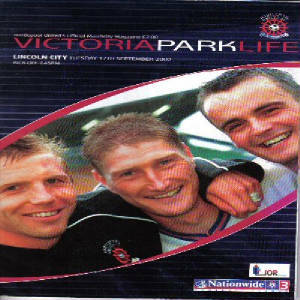 If you'd have asked me at the start of the 2002/3 season if I'd been going to Hartlepool away, I'd have probably laughed and said "no" but I had got into the habit of going to every game at that point and the trip to the League leaders was inevitable. Infact, City were top of the league for about 1 hour and 10 minutes after taking a 1st minute lead. 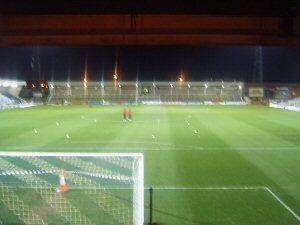 Anyway, we arrived at the ground and after hearing how cold Hartlepool was, I was mildly suprised and couldn't see what people were complaining about. Ok, it wasn't boiling but it wasn't cold either. The one thing that was hilarious going up to the ground was going past all the dads and their sons. The dads were just sticking the thumbs down and the little kids were doing w****r signs and stuff like that. Anyway, after a 20 minute wait for the gate to final open, we entered the ground and to be fair, it was a fairly nice ground, not in the obvious style, but because it was subtle and again had that vital "football feel". The stand that the Imps' fans were in, is the best at the ground with an all seated stand behind the goal, it is fairly small but still offers a great view of the action and the leg space was really satisfying. 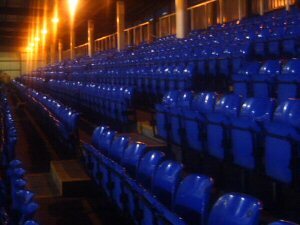 The stand to our left was a very untidy all seated stand where the design, although ambitious, didn't look right on the stand and looked very cramped. 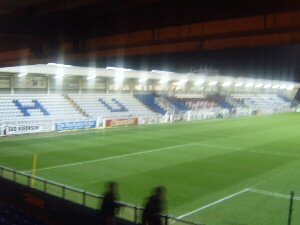 The stand behind the far goal is an average sized terracing where most of the atmosphere came from. 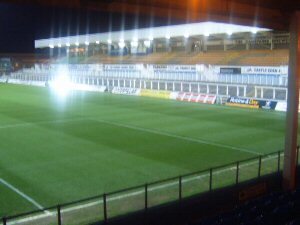 Finally, the stand to the right is a section of terracing, with another section of what appears to be a moldy-brown colour schemed seating area. The atmosphere at Victoria Park was magnificant to say the least. One of the best atmospheres I've experienced on my travels and when they scored, it sounded like an explosion. This ground will soon probbably be too small for the ambitious club as they make their steady progress up the football league and it will be a shame if this ground becomes vacated as it is one of my favourite grounds to visit and I would seriously recommend a trip to everyone.